Daniel comes to Times Square. Some great news for you New York gals! 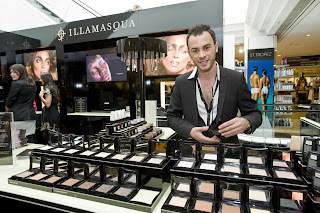 Daniel, one of our International Make-up Artists, will be making an appearance at Sephora’s flagship store at 5 Times Square on October 10th and 11th, from 11am-7pm on both days! Joining him will be our International Account Director, Jennifer – both will be on hand to answer brand and product questions and to help you discover your alter ego using our range of professional, high impact pieces. Hope you can make it!